Note: Many of Floridas toll roads are now cashless. The regional SUNPASS is available Prepaid at most Publixs, CVS and Wallgreens so you can buypass rental car transponder tyranny. Click here for Orlando, Tampa and other Florida cities. Miami? Fort Lauderdale? Miami Beach??? It used to be that the only “hip” stuff to do in the Miami Area was on South Beach, but that has changed. Miami and Fort Lauderdale are only about 30 minutes away from each other, but are vastly different experiences. You can check flights to both Miami and Fort Lauderdale airports to find the cheapest one, as the Ft. Lauderdale airport is located in Hollywood, a town on the border of both counties. West Palm Beach has a much quieter airport where you can get your rental car in minutes versus the bigger airports. You WILL need a car unless you are staying on Miami Beach but you will need to take a car service. In making your choice as to where to stay, you can pretty much vacation on south beach without needing a car at all. You can wander out of your hotel to the beach, restaurants, shops and clubs. For cheaper accomadations, staying north can reduce the cost, but the beaches arent as nice. I recommend renting a car, but if you stay on Miami Beach parking charges can be insane. While down in that area, you should get pizza from the takeout only Frankies Pizza- 9118 SW Bird Rd Miami, FL (305) 221-0221-They have great sicilin style pizza. Yum! Highly recommended. 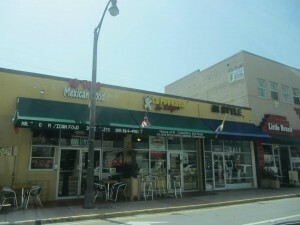 Theres also Arbetter’s Hot Dogs -8747 SW 40th St, Miami, FL 33165, A decades old chili dog haunt. 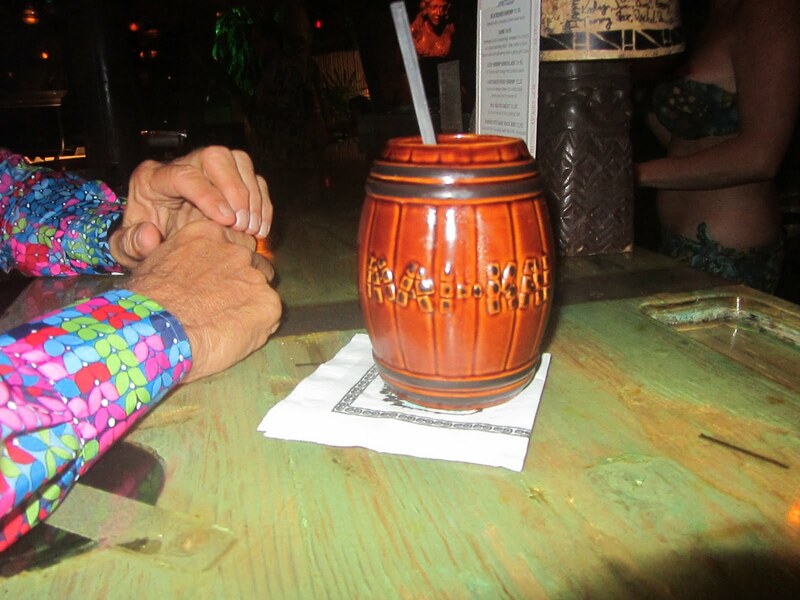 The Hukilau Tiki Festival takes place every year in June and features the greatest thing in South Florida, the Mai-Kai Restaurant. Gramps-176 NW 24th Street, Miami-Indoor outdoor club that has occasional Great bands. There is one and only one punk club in the Miami Area, and the only worthwhile shows around. Its in Little Haiti and is called Churchills. It has recently been sold and may change format. The other problem is the neighborhood can be a little sketchy so watch your car, or better yet, splurge on a cab to get you there. That way you can drink. Lookout for cool punk band Boy Prostitute. On one of my last trips to Miami, I discovered a bar that almost made me feel at home. It is the Purdy Lounge, 181 Purdy Avenue near the Venetian Causeway. Parking is a breeze, the crowd is quite relaxed and the drinks are reasonable. The only problem is the music they spin is crap. 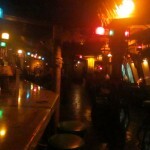 Lost Weekend-218 Espanola Way, Miami Beach, FL 33139 (305) 672-1707-Pool tables and occasional burlesque. 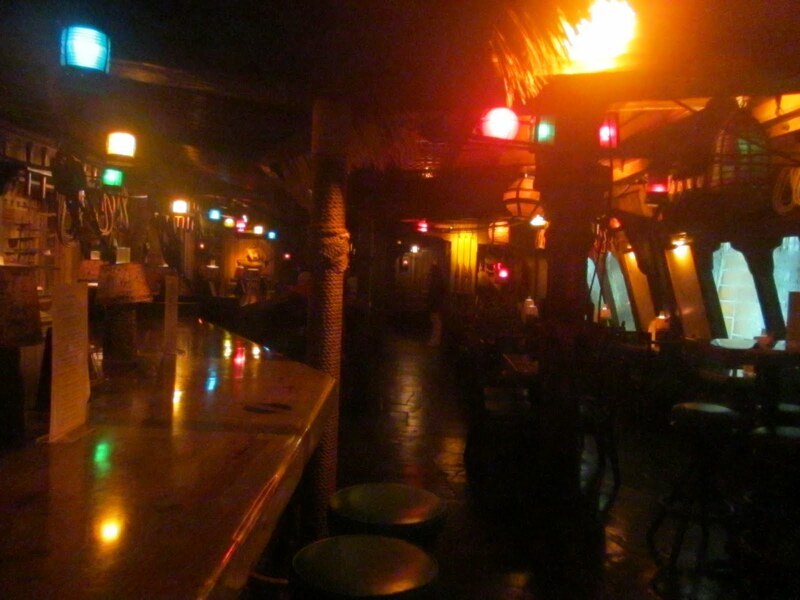 South Miami-Bougainvillea’s Old Florida Tavern -7221 SW 58th Ave, South Miami, FL 33143-Open til 5 am: (305) 669-8577-old style joint, but its college-y so can be douchy. Seven Seas -2200 SW 57th Ave,Miami, FL 33155(305) 266-6071-Divey dive bar with sea memorabilia glued to every square inch of space. On the border between Miami and Fort Lauderdale just off I-95 is a rollercoaster that operates without an amusement park on the grounds of a mini golf/video arcade/go cart place called Boomers. It is the Dania Beach Hurricane.-TT-sadly this has closed and is awaiting demolition, though the mini golf and games of boomers remain. MIAMI, FL: Contrary to popular opinion, there really isn’t anything hip going on in Miami. But Joe’s Stone Crab is really an amazing restaurant. Tip: If you can’t make it to Joes at 5 pm for the early seating, don’t bother going there until at least 6:30. Joe’s Stone Crab-11 Washington Avenue , Miami Beach (305) 673-0365. Joe’s is closed when it is not stone crab season, usually from the end of April to early October. They do open in the summer with a different menu. Mario the Baker-2508 NE 2nd Ave, Miami, FL 33137, Miami-must have garlic rolls. The rest of the food is simple red sauce italian but the garlic rolls rock. Flannegans-Many Locations, best non bbq bbq ribs out there. Also in South Miami is a Puerto Rican Restaurant called Bennys Seafood, which specialized in Mofongo, a dish of plantains smashed together with garlic and pork rinds, topped with the meat really as a condiment, which can be pork, garlic sauteed shrimp and many more. 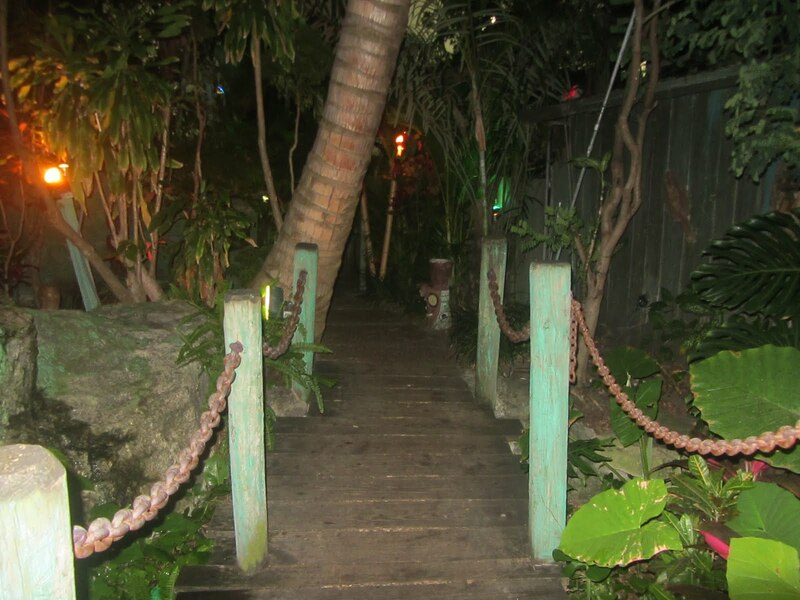 Benny’s Seafood, 2500 SW. 107th Ave. , South Miami, FL 33165 305-227-1232, while out there you can visit Pinecrest Gardens, located on the site of the old Parrot Jungle, which moved to Watson Island and is now called Jungle Island. The old location has many of the rare tropical plants planted by the old Roadside Attraction.Tip: For those from northern climates, do not exceed more than an hour and a half the first few days or you could wind up with SUN POISOINING which can really mess with your vacation. Also take a trip THRIFT SHOPPING to the Red, White and Blue on 126th St. and 6th Avenue in North Miami. While up in that neighborhood, head up West Dixie Highway to 139th St. and GET THE GARLIC ROLLS at Mario the Baker. Mario the Baker has just started chaining but the original has a retro 70s vibe to it. Every other dish there is basic red sauce italian, but the rolls are heavenly. Tip: pour some parmesean cheese onto your bread plate and dip the rolls into it. Yum!! Mario the Baker -13695 W. Dixie Highway , North Miami (305) 891-7641. Marios has recently exploded into a chain but the original has retro charm. (305) 642-3322 fried fish and hush puppies in little havana. Amazing Shrimp and a lobster sandwich too. All fried. The minuta is served with Ketchup and onion and is a piece of fried yellowtail, boned but with tail attached. 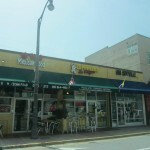 La Perros-1427 Alton Road, Miami Beach, FL 33141-(305) 397-8305-another Columbian fast food joint, one of several in town. This one has burgers and dogs, plus the greatest drunk food known to man, Maicitos, sweet corn with cheese, chicken, house sauces and crushed potato chips. Barracuda Bar & Grill-3035 Fuller St, Coconut Grove, FL 33133 (305) 918-9013-Nautical themed bar with rope lined tables and all the normal Florida stuff, smoked fish dip, conch fritters, snapper and mahi (dolphin) sandwiches. Club Planet to get on club Guestlists. churchill’s -The Best live music in Miami, Period, located in an iffy neighborhood. 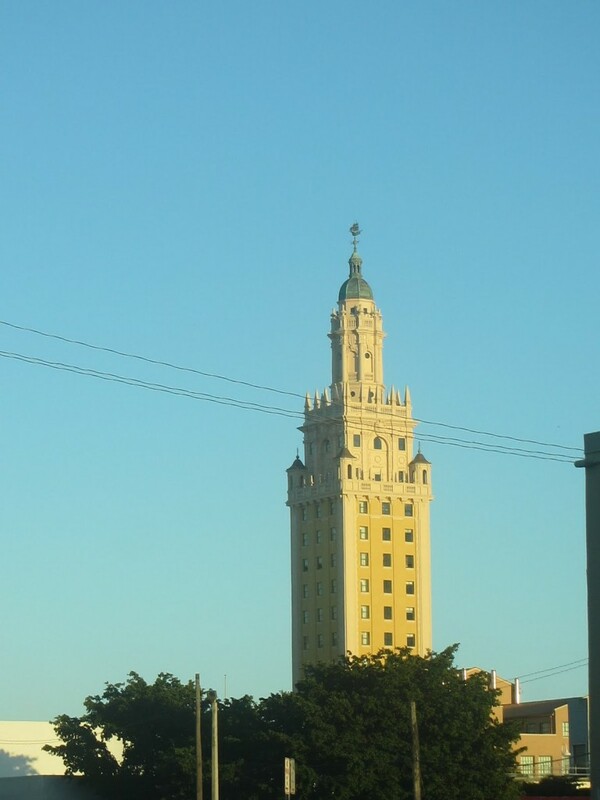 For cheaper accommodations downtown, you might want to check out Miami River Inn (118 S.W. 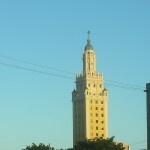 South River Drive, 305-325-0045). The Clay Hotel, 1438 Washington Avenue, (800) 379-2529 is on the funky block of Española Way and is partly a youth hostel. Most rooms with private baths. 2 blocks from the beach. 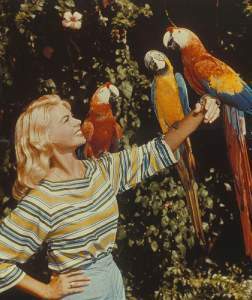 Another option that provides a little more peace and quiet and is among the last of the midcentury type is Thunderbird (18401 Collins Ave., 800-327-2044), reasonably priced and provides plenty to keep you occupied, including a Tiki bar. You’re pretty much looking at renting a car if you plan on doing much around town. 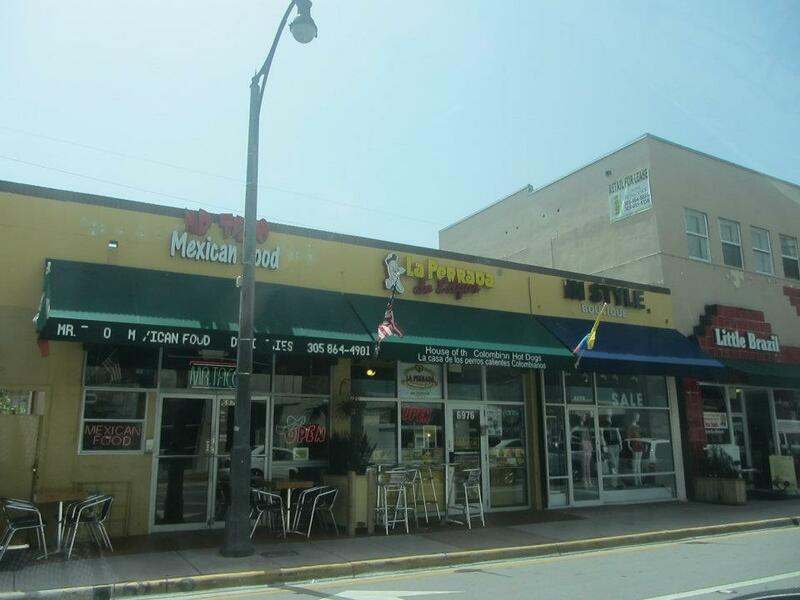 check out El Rancho Grande (1626 Pennsylvania Ave., 305-673-0480), a very popular and laid-back Mexican place where you can eat good food in a totally casual atmosphere. Broward County is both blander, yet somehow seedier than Dade. Broward is home to the swing club Plato’s Repeat, love child of the early 70’s New York City club. Fetish Factory holds monthly Fetish Parties around town. Euphoria project has events and great links. Poorhouse -110 SW 3rd Ave, Fort Lauderdale, FL 33312 (954) 522-5145-Huge smelly bar with live original music that starts late and is usually free in a huge hellish club area with all the skanks and bros at the other joints. This is the best place in the stretch and theres some old sideshow art. Down-home joint featuring daily all-you-can-eat specials plus menu of seafood, ribs & steak. An INSANE amount of food they give you. (954) 565-9960-Its REALLY old fashioned. IF you ask for lettuce and tomato they give it to you in a ziploc baggie. Rustic Inn Crabhouse -4331 Anglers Ave, Fort Lauderdale, FL 33312 Phone:(954) 584-1637-Gigantic old timey seafood joint where you go to get huge plates of crabs, shrimp and more. Eats-Big Bear Brewing Co -1800 N University Dr, Coral Springs, FL 33071 (954) 341-5545-Giant Locals only bar that looks like a chain but its not. Pretzel crusted chicken, Beer Cheese soup, ribs, steaks, etc. 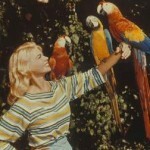 Vintage Tap-524 W Atlantic Ave, Delray Beach, FL 33444 (561) 808-7702-Original live music nightly. TATE’S Comics + Toys + More “Main Headquarters” 4566 North University Dr.
Lauderhill, Florida 33351 954-748-0181 Huge comic shop w toys and collectables. In a million years, I would never imagine recommending a Dunkin Donuts, but the Lake Park branch at 301 Federal Hwy, Lake Park, FL 33403 (561) 848-5031 is unique. Its a DINER serving real eggs and real diner food on real ceramic plates. At breakfast they have cheese and onion smothered hash browns. At lunch they have chili cheese fries and even white hots. Much unchanged since 1962 and believed to be the first Dunkin in FL. Little Fish Huge Pond – 401 Sanford Ave, Sanford, FL 32771 (407) 221-1499 Closes early. Quirky Irish pub with live music. Phone: (772) 286-5252-Music more along the lines of stoner rock and jam band typically. Waldo’s Restaurant -located in: The Historic Driftwood Resort, 3150 Ocean Dr, Vero Beach, FL 32963 til –1AM · (772) 231-7091 poolside restaurant with live music of the blues or rockabilly variety normally. Skunk Ape Headquarters-40904 Tamiami Trl E, Ochopee, Florida, FL 34141 (239) 695-2275-One mans mission to document the Skunk Ape, Floridas Sasquatch. The Bubble Room-1-239-472-5558 15001 Captiva Drive, Captiva FL 33924-0utrageous over the top restaurant that looks like its made of candy. The menu is hysterical full of dishes like Marilyn Mignon and Duck Ellington and amazing desserts like the Orange Crunch Cake. Alabama Jacks – 58000 Card Sound Rd, Homestead, FL 33030 (305) 248-8741 open for lunch and only early dinner til 6:30 Conch Fritters and smoked fish spread, crab cakes. Here is a 2017 article on the best key lime pie in Key West. 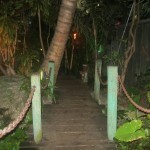 The Sunshine Grill– 1110 White St, Key West, FL 33040 (305) 294-8089 Closed Tuesday and Wed at least in the summer. Shrimp and Bacon club sandwich w avacado and Meatloaf. 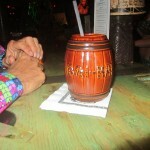 Summerland Key, FL 33042 (305) 872-4094 Onion rings and conch fritters and the only Mini golf in the keys.